They think that is GOOD news. He’s the guy that wrote what they’ve dubbed “The Romney Budget”. Heck their work is already part done, since they’ve already pre-demonized him as the fellow that wants to throw wheelchair-bound senior citizens off a cliff. Saves time, the campaign of Mr “I came to DC to be the first post partisan president” can just recycle existing sleaze ads to degrade Ryan. Ohhhh sheeeit. That’d be Mr Gaffe… Joe “Big F*cking Deal” Biden. The guy that says whatever comes to his head, and that apparently could be almost ANYthing. — Joe “Do you know the Web site number?” Biden. — Joe the one that’s run multiple times for commander-in-chief, but doesn’t know the difference between brigade and battalion. “When the stock market crashed, Franklin D. Roosevelt got on the television and didn’t just talk about the, you know, the princes of greed. He said, ‘Look, here’s what happened,” he said. The guy has only been serving in Federal office for 4 decades, so we can hardly hold him to knowing 8th grade history. Herbert Hoover — not Roosevelt was president in 1929, and television had not been invented. Other than that, spot on. Joe. The first time I can recall hearing about Biden was in the 1980’s. It wasn’t good. He was one of the first to assist in helping turn the advise and consent role of the Senate into “let me just tell you how to do your job” in the Bork Senate Confirmation hearings. Bork was nominated by Reagan as a Supreme Court Justice, and he was turned down, not because he was unqualified, but because the Democratic majority didn’t like the fact that he was a strict constitutionalist. It forever changed the way such hearings work. The one that sticks in mind was Biden’s run for the ’88 Democratic Presidential nomination… which he had to walk away from when one of his Democrat opponents discovered he had a lifelong history of plagiarism and blew the whistle. Then there were revelations he’d borrowed parts of speeches, some larger than other, from Hubert Humphrey, Robert Kennedy, and British Labour politician Neil Kinnock. In the case of Kinnock, Biden basically borrowed a speech, and on at least one occasion used it without attribution… borrowing not only the words, but Kinnocks life. Notwithstanding what he said in his speech, Biden was NOT the first in his family to attend college, nor to his knowledge descended from coal miners. Yet his introduction suggested the details were about him. In his defense, at no time did he claim to have been born in a log cabin. Biden is well known for being a loose cannon… and comedians have posited that Obama picked him as VP to prove he didn’t really need one. Nonetheless, he’s the guy in the job, which many have suggested might be just insurance for Obama, cause if we don’t like to be led by an inexperienced socialist dilettante… do we really want to trade out for a plagiarizing clown? As we know, the Obama administration says they are all about fairness. Though nobody really explains how “fairness” requires the 50% paying taxes to do more for the 50% that don’t, we’ll go with it. 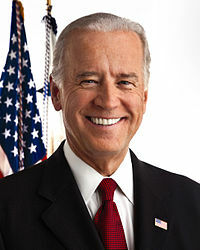 Clearly in a matchup in the English language, Biden is fighting over his weight class in a debate with Ryan. Ryan is the real thing, Biden is a certified poser. So, as it seems unfair to match Biden against the kid straight up, let’s be fair about it. As it’d be unseemly for Biden to call in a second, let’s just give him a little assistance. Biden gets to have access to a history book, a text on economics, and he gets two do-overs and one chance to phone a friend. Ryan has to do the debate with his microphone turned off and a wounded badger chained to his leg. YEAH… That oughta just about even it up. Previous Post NBC Report: Romney Masticates in Public!